Weekend courses are also available. See our website for more details. 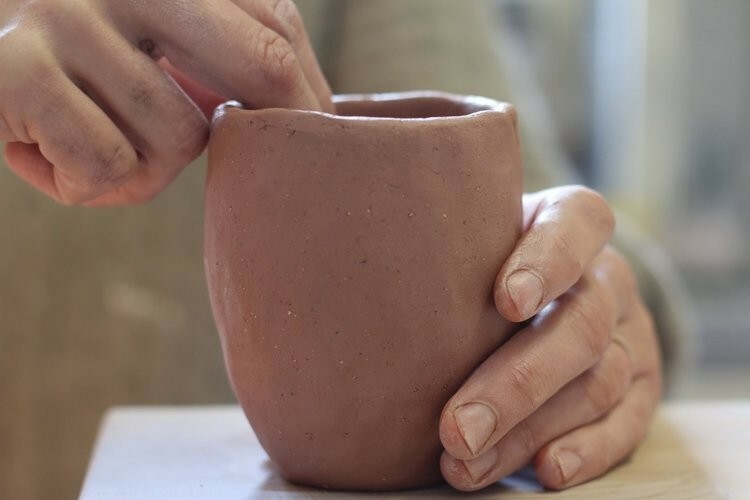 Ideal for beginners or those moderately experienced, this course introduces a range of clay forming and decorating techniques that will equip you to work independently at home. A range of hand-building approaches, wheel-throwing, slip-trailing, press-moulding and glaze decoration are covered. Your fee covers basic clay and materials costs as well as firing. Although this course is focused on technical skills, once you have mastered the basics, you are encouraged to pursue your own creative direction as well. You are encouraged to accumulate some personal tools during the course and consider enrolling for a second term for optimum benefit. The first two weeks of the course include intensive group teaching on basic techniques so should not be missed. Tutor: Matt, is one of New Zealand's top award-winning potters and is a dedicated and patient teacher.